The insurance arm of the World Bank Group has issued guarantees for commercial loans to projects in Myanmar and Pakistan. In Myanmar, the Multilateral Investment Guarantee Agency (Miga) is to cover US$114.76mn-worth of loans from the Industrial and Commercial Bank of China (ICBC) to Myanmar Fibre Optic Communication Network. The funds will cover the installation and maintenance of 4,000km of fibre optic cable through six states and eight cities in the country. It supports a government aim of connecting 90% of Myanmar to a telecommunications network by 2020. Miga’s guarantee provides protection for 5.5 years against the risks of transfer restriction, expropriation, war and civil disturbances. 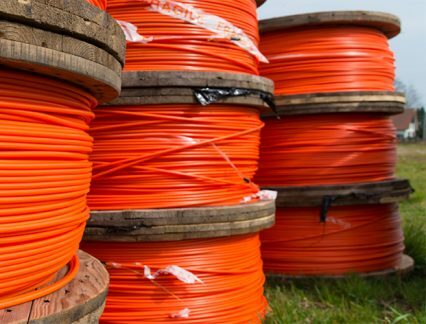 The organisation previously issued a guarantee for a 4,500km cable network in January 2017. In Pakistan the agency is covering a US$66mn loan from Sojitz Corporation, a Japanese trading company, to Hyundai Nishat Motor, a joint venture between the Korean carmaker Hyundai and the Nishat Group, one of the largest conglomerates in Pakistan. The guarantee will support the construction, design and operation of a vehicle assembly plant in Lahore, which will produce three Hyundai-branded vehicles from 2020. With an annual production capacity of 30,000 vehicles, the plant will source supplies such as tyres, rubber parts and batteries from local vendors. Again, the risks covered by Miga are transfer restriction, expropriation, war and civil disturbances – this time for 15 years. The package will help diversify Pakistan’s automotive industry, which is at this point dominated by Japanese companies. Sojitz, the lender, will operate a number of dealerships in Pakistan. The flagship dealership will be in Lahore, with a number of franchises to be opened around the country. The company has committed to investing US$136.5mn in Pakistan’s automotive sector. “This project will help strengthen Pakistan’s automotive industry, reducing vehicle shortages, improving safety standards, and increasing the choices consumers will have available to them,” says Keiko Honda, CEO and executive vice-president of Miga.